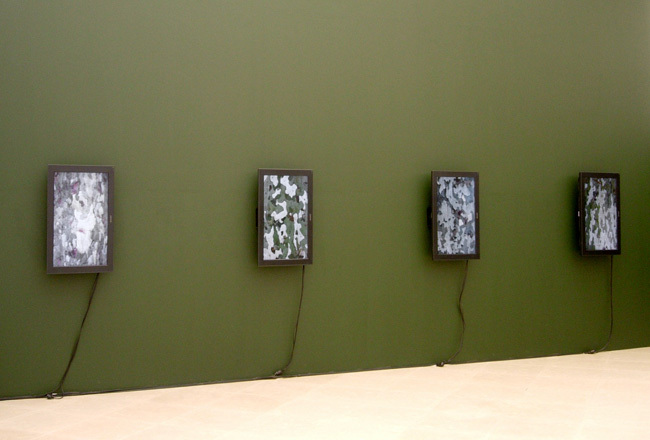 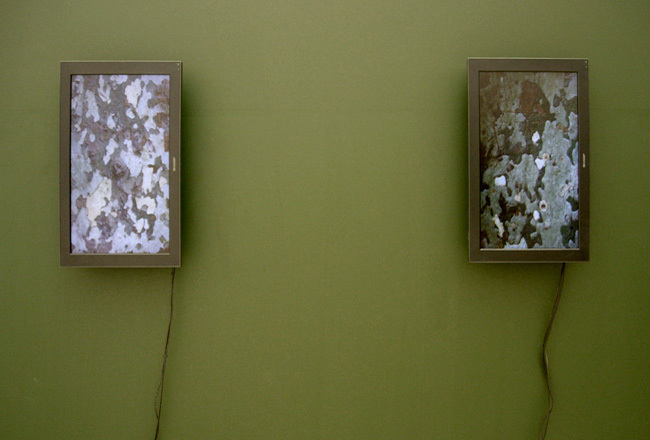 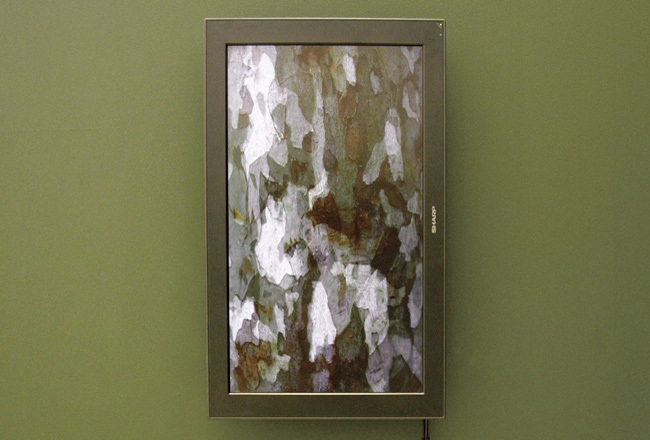 Shanghai Concession Camo (la longue durée) is comprised of four looping animations and two lightboxes produced from photographs of London Plane trees found in the former French Concession district in Shanghai. 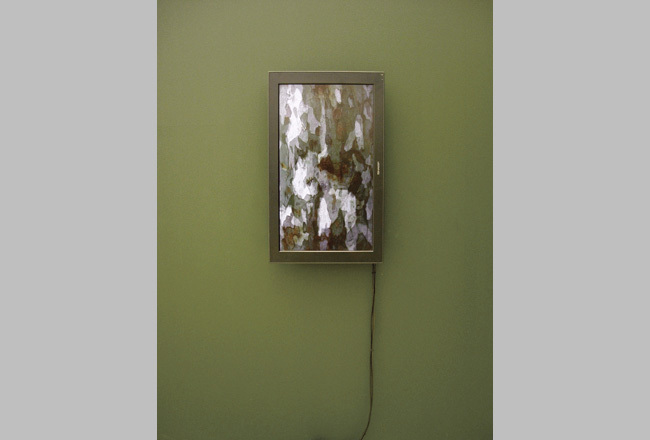 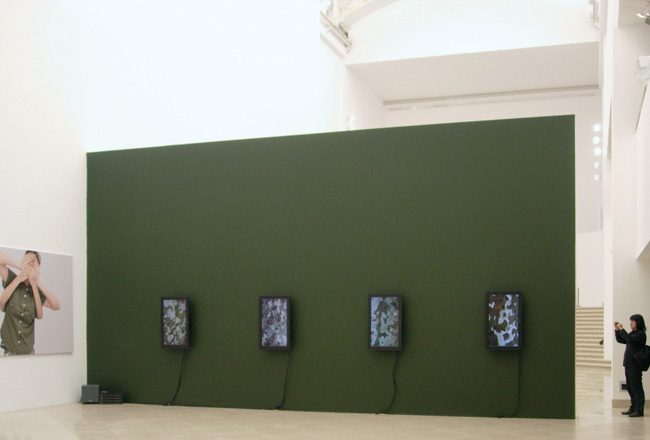 Presented on vertically mounted monitors, the cropped images of the trunks of the trees morph imperceptibly from one to another creating compositions reminiscent of camouflage pattern, geospatial satellite imagery, and abstract painting. 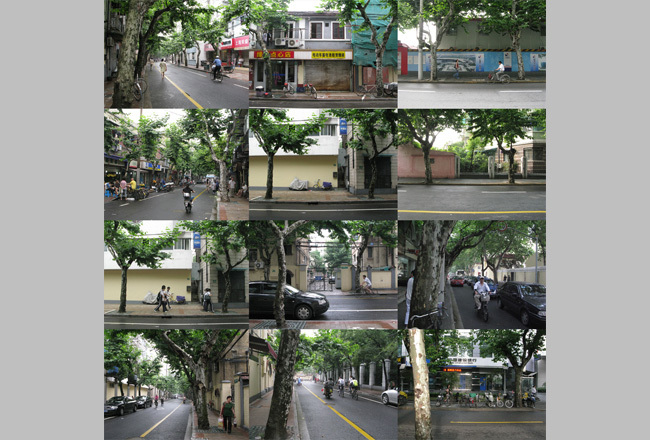 The French Concession in Shanghai, established in 1849 following China's defeat in the First Opium War in 1842, was one of numerous international enclaves that occupied major port cities throughout China in the mid-nineteenth century. 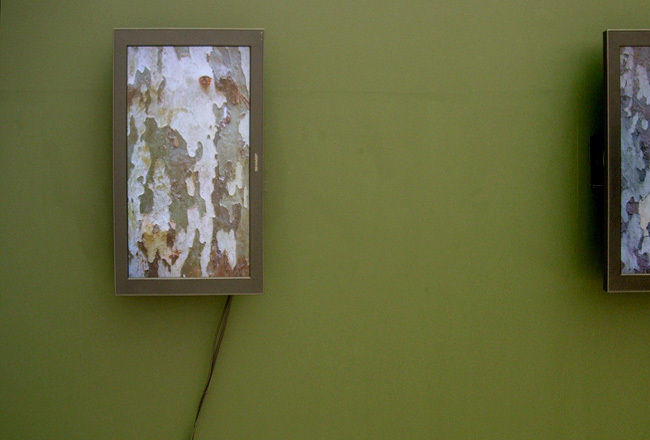 The trees were planted systematically throughout the neighborhood beginning around 1900 and continue to stand today among the district's old European-style villas and consulate buildings. 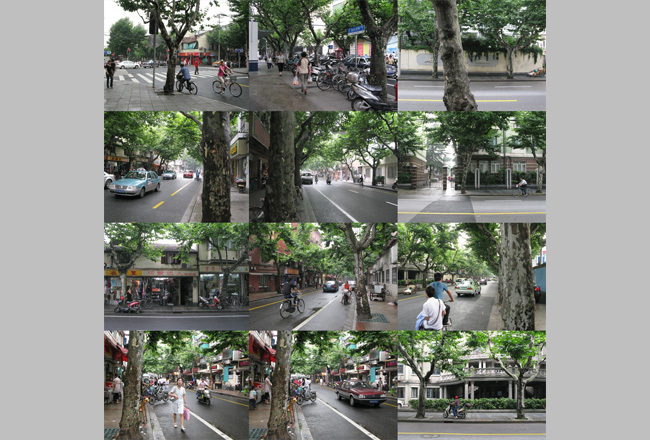 The area remains noticeably untouched despite Shanghai's vast urban redevelopment projects.